ButterFly is the great clean modern multipurpose Magento Theme with responsive & retina ready design. 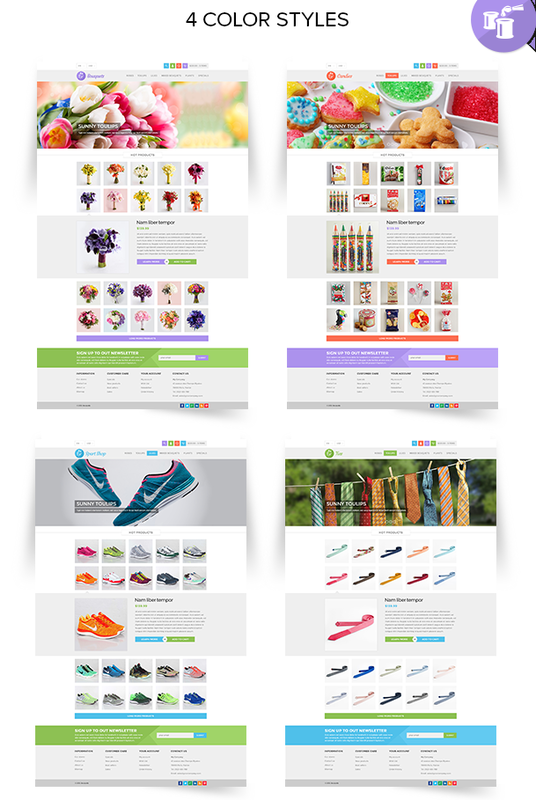 This theme can be used to sell flowers, food, sweets, gifts, sporting goods, shoes, accessories and others. There are four color schemes that we offer: violet, orange, light blue, light green. Item Reviewed: ButterFly Responsive Multipurpose Magento Theme 9 out of 10 based on 10 ratings. 9 user reviews.